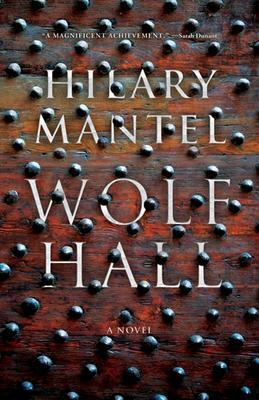 When Wolf Hall won the Booker last year, Hilary Mantel registered on my radar for the first time - because, of course, people were all of sudden coming into my shop every day looking for her books. I don't make a point of reading prize-winning novels; indeed, sometimes, I avoid them for did not Yann Martel win the Booker? It's a prize that holds no currency for me. But later, Rohan Maitzen briefly reviewed Wolf Hall and that piqued my curiosity; still, I resisted, for I feared reading a historical novel about a period of which I have a fair bit of knowledge. I worried, a little, that it would cause me some "too much like school, too soon!" pain; much more, I worried Mantel would botch it. Later, my thesis supervisor, if she were the type of person to gush, which she is not, gushed about it to me and so I bit the bullet and read it. And you know what? Wolf Hall really is a remarkable novel. Generally speaking, it's achieved something I've rarely encountered - it's both a page-turner and quite dense, so while I read it in long stretches, it was impossible to read quickly. It was both fraught and full of happenings, yet it was also thoughtful and full of passages that seemed simple on the surface but gob-smacked me with the subtle complexities they revealed about Thomas Cromwell's personality. This book is involved in a way that I can only compare to Victorian novels, but really only to Victorian novels penned by George Eliot. It's not that Mantel's and Eliot's writing is similar, it's that they're both so intelligent. Neither resorts to the literary equivalent of jazz hands as some of my other Victorian favourites do. In Wolf Hall, books are dangerous things, containers of knowledge and potential sedition that, if found in your presence, might well result in you being strung up by your heals and slowly disemboweled. This is not all books we're talking about - but at the nexus between the disintegration of Rome's hold on England and the rise of the English church, religious books occupy a strange position insofar as simply reading or possessing them is a political act. 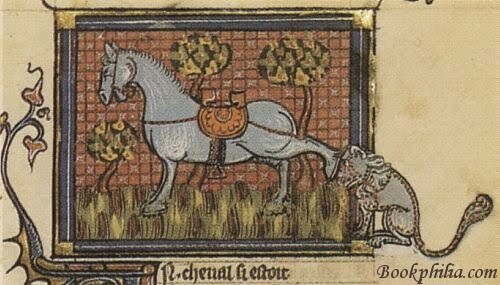 Yet, to not be aware of the contents of the most influential books in circulation is to be made very vulnerable. Cromwell is astute at keeping track of all the important books out there, both real and metaphorical. Cromwell's ability to keep himself close is what makes others fearful and anxious about him, but it's also what facilitates his rise to power. He is able to appear to conform his desires to the desires of the powerful men he serves - but only he knows what really motivates him for his heart, or book, or whatever you want to call his soul, is something he keeps beyond the reach and comprehension of others. Indeed, even Mantel doesn't entirely know what moves her character, a fact repeatedly highlighted by her consistent referral to Cromwell simply as "him", never actually as "Cromwell." I don't think that Cromwell feels vulnerable per se in the passage quoted above; I think, rather, that he's noting the unnaturalness of the most close scrutineer of others' mysteries being made, even briefly and mildly, the object of such speculation. I really appreciated that Mantel didn't over-use her power as novelist to create more of a character out of Cromwell than the history could support; at the same time, she has done something new with him, making him infinitely more likable than the previous literary "last word" on the subject, Robert Bolt's A Man For All Seasons. Mantel's Cromwell is no less frightening for his humanity, though; indeed, in some ways, it makes him more so because the ruthless and cruel things he does don't seem so alien anymore - even if they remain mysterious. Oh God how I love Victorian jazz hands. I'm reading Collins' No Name right now, and the beginning at least is quite handsy. Also, new header! I like. I expect to read this one this year and now you've got me quite interested in it! But what have you got against Martel and the Booker? I must have missed that part. Beautiful review, Colleen. N gave me a copy of WOLF HALL a while ago, while I was still losing the fight with my current bookish thing. I read the first page then closed it immediately, because I knew that reading it then would mean throwing away everything I'd ever thought about writing. In a few weeks, I'll read it and then we can get together over hot kale juice and talk about it. Also, wv: twagg. That cries for a definition, no? Your title quotation goes farther than anyone has, so far, in getting me interested enough to pick up this book.